I am considering using petsc4py instead of scipy.integrate.odeint (which is a wrapper for Fortran solvers) for a problem involving the solution of a system of ODEs. The problem has the potential to be stiff. Writing down its Jacobian is very hard. So far, I have been able to produce reasonable speed gains by writing the RHS functions in "something like C" (using either numba or Cython). I'd like to get even more performance out, hence my consideration of PETSc. 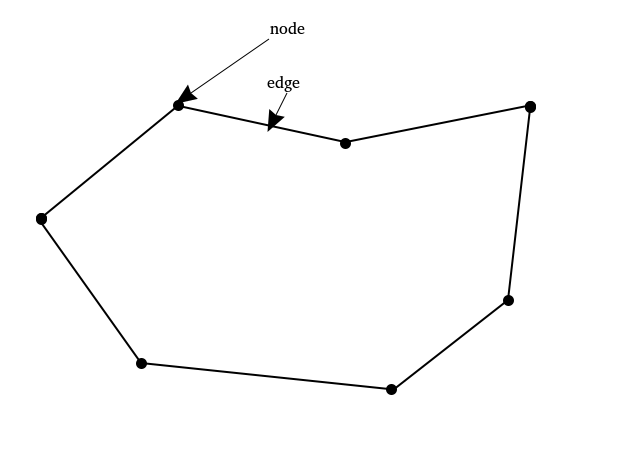 So, an amoeba consists of $N$ nodes and edges, constrained to a 2D space. The position of the nodes describing the amoeba evolve with time. where $c$ is a constant I pick. 1) There are red balls and blue balls inside the amoeba. ^ 2) Both red and blue balls have "switched-on" (symbolized $r^*$/$b^*$) and "switched-off" (symbolized $r$/$b$) state. 3) Both red and blue balls can be found either in the body of the amoeba where they are always switched off, or at the nodes of the amoeba, where they can be switched on or switched off. 5) When red or blue balls are in the body, they are free to jump onto any node they want, but when they are on nodes, some of them might be induced to move to neighbouring nodes due to some sort of "diffusion"
Okay, you get my point. I can come up with a model that is fairly convoluted in terms of how the various variables of interest interact. Things get even worse if my problem involves not just one amoeba, but multiple amoebae (which is when things ARE interesting), with new interaction rules enforcing that amoebae cannot violate each others' areas, and so on. All the toy examples I see of PETSc time stepping problems have Jacobians defined, so I wonder if I would even get a speed gain going from switching to it, if perhaps one of the reasons why I have a high computational cost is due to not being able to provide a Jacobian function? Browse other questions tagged python petsc time-integration scipy . Why can't I compile a function using the CHKERRQ macro in PETSc? Is there a way to inspect the graph of a sparse matrix with PETSc? scipy.integrate.odeint: how can odeint access a parameter set that is evolving independently of it? Can an approximated Jacobian with finite differences cause instability in the Newton method? What is the default smoother for the “PCMG” preconditioner in PETSc?